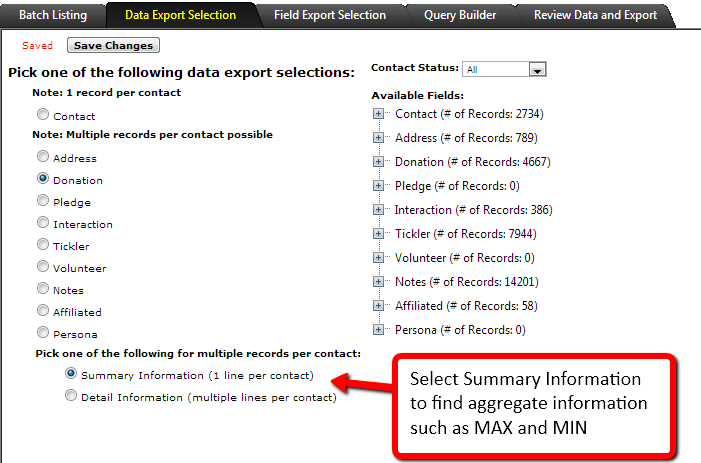 When building a Summary DataMiner Platinum report, you must tell DonorSnap what information to display as Summary. 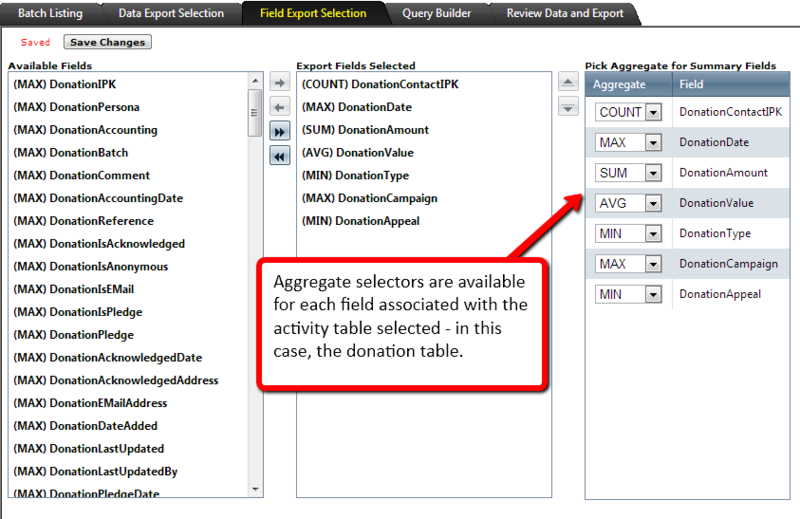 For example, if you want to display the Appeal code on your report, the program cannot SUM (add together) that field because it’s made of Words. 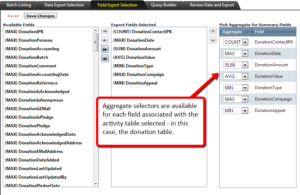 You can only MAX (the largest alphabetically) or COUNT (literally count how many times a particular appeal appears). 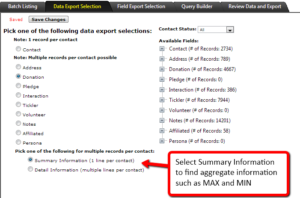 For each field you want to show on your DMP report, you need to select it’s “Aggregate”.